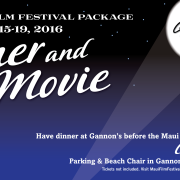 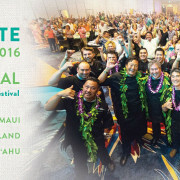 Gannon’s is please to announce its 7th Annual “Dinner and a Movie” package for the 2017 Maui Film Festival held right outside Gannon’s at the Wailea Gold Golf Course from June 21-25, 2017. 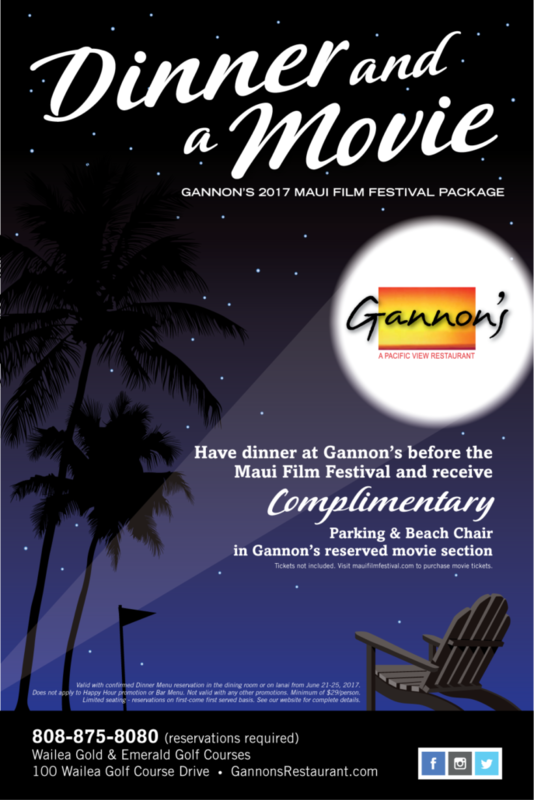 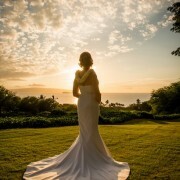 Have dinner at Gannon’s before the Maui Film Festival and receive Complimentary Parking & Beach Chair Seating in Gannon’s reserved movie section. 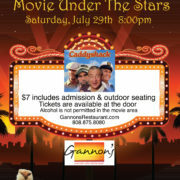 Note: Tickets are not included. 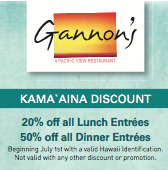 Valid with a confirmed dinner menu reservation in the dining room or on lanai from June 21-25, 2017 with a minimum of $29/person. 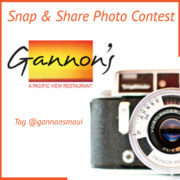 Does not apply to happy hour promotion or bar menu. 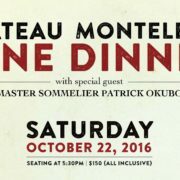 Seating is limited and reservations on a first-come basis.